Bayinbuluke Prairie is composed of two grassland hills with a total area of about 23,000 square kilometers. 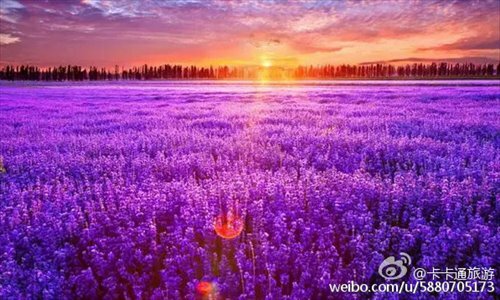 It is China's second largest prairie, smaller only than the Ordos Grassland Prairie. The Mongolian word "Bayinbuluke" means "rich spring water." Limin Alley has for hundreds of years been a central fixture of downtown Urumqi, capital of Xinjiang Uyghur Autonomous Region. During the Islamic holy month of Ramadan, merchants here prepare a cornucopia of tasty treats including fruits, roast meat and cold noodles before the fast-breaking commences. Bakers spent over 16 hours making around four or five thousand nangs to meet the needs as the breaking fast is approaching. 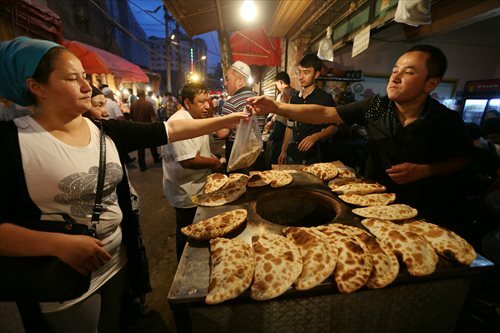 Occupying 40,000 square meters, the International Grand Bazaar in Urumqi, Xinjiang Uyghur Autonomous Region is the largest bazaar in the world. Spectacular views of hilled grassland in Ili Kazak Autonomous Prefecture’s Tekes county, Northwest China’s Xinjiang Uyghur Autonomous Region. 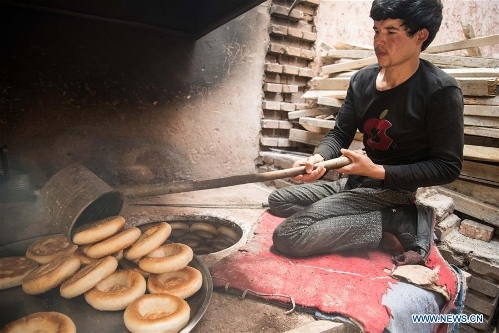 When fashion and gastronomy collide, the instant-boiled mutton dresses of Northwest China’s Xinjiang are born. Wind turbines stand against the sunset at the Dabancheng wind power plant in Urumqi, Northwest China’s Xinjiang Uyghur Autonomous Region. The hundreds of windmills that together make up the plant not only currently represent China’s largest wind power base, but also serve as a major tourist attraction. Muslims break their daily fast at a free fruit stand during the Islamic holy month of Ramadan in Urumqi, Northwest China's Xinjiang Uyghur Autonomous Region on June 24. 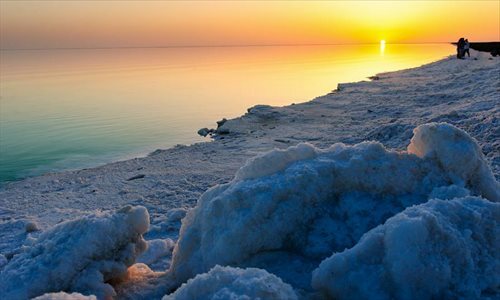 Photo taken on June 15, 2016 shows the scenery of a salt lake in Lop Nur, northwest China's Xinjiang Uygur Autonomous Region. Photo taken on June 14, 2016 shows dish-like rare stones displayed on plates at the local rare stone museum in Hami, northwest China's Xinjiang Uygur Autonomous Region. 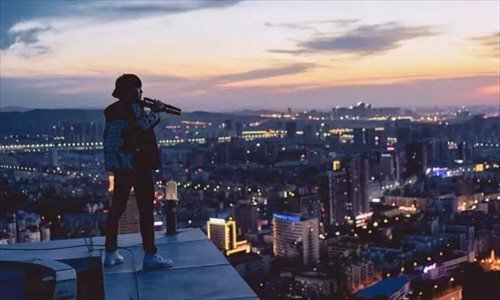 Xinjiang Uyghur Autonomous Region in Northwest China is a place renowned for its stunning natural landscape, though it's perhaps the people where the region's true beauty lies. 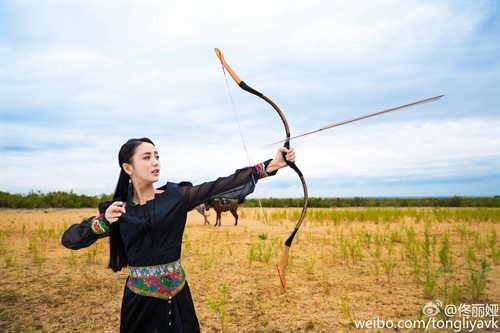 With their exotic features, big eyes and high bridged noses, they're putting a new face on Chinese beauty. 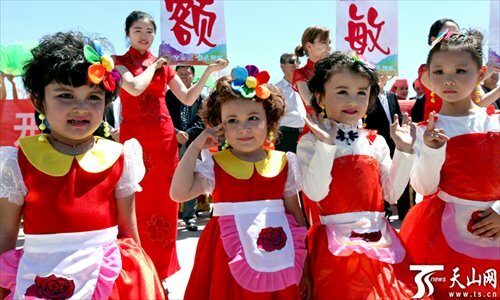 On September 24, 2015, Muslims in Xinjiang celebrated the annual Corban Festival. Also known as Eid al-Adha and the Sacrifice Festival, it is an important traditional Islamic festival during which Muslims hold religious rites, slaughter livestock, and visit relatives and friends. 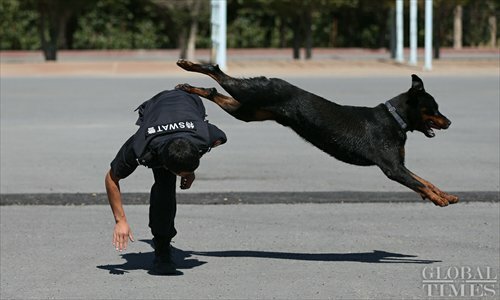 Police dogs of the No.8 Special Police Force detachment of the Xinjiang Urumqi Public Security Bureau help officers in tracking, bomb-sniffing and drug searches.